Vlchek | The Original Plastic Floral Container Line | Flambeau, Inc.
Flambeau's Vlchek® brand quality floral products: "The original plastic floral container line." 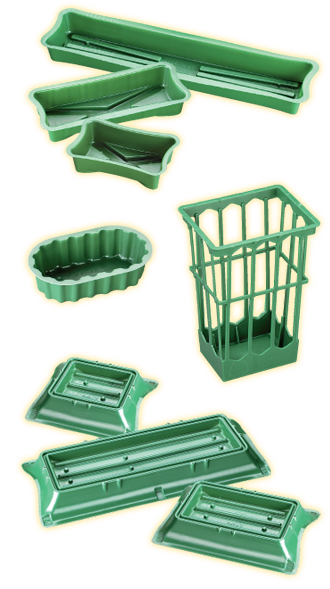 Manufactured and shipped from Middlefield, Ohio, Vlchek containers consist of a wide range of products, including design bowls, centerpiece holders, spray holders and easel containers. With nationwide representation through the Pete Garcia Company, Vlchek floral containers are the mainstay products of Floral wholesalers across the county. Vlchek Floral Container Products - Whether in the Wholesale/Retail Florist or Sympathy Market, Vlchek floral containers offer the answer to all of your floral arrangement needs. For further information regarding the Vlchek product line, please contact us at 800-457-5252, or fax us at 440-632-1581. To view Vlchek's current product sheet in pdf format please click on image to left or HERE. Acrobat Reader™ is a free extension from Adobe® and is required to open and print Vlchek's catalog. Should you need to install the extension, or update your current version, please click HERE. please click here Copyright © 2014, Vlchek Floral Containers, a Division of Flambeau, Inc. All Rights Reserved.